A new survey reveals that when preparing to go on vacation, most homeowners are careful to safeguard against fire and theft, but fail to appreciate the degree of damage a leak can cause in their absence. It’s one thing to leave your home unattended for a few hours. But when you’re preparing to go away for a period of days, you don’t just shut the front door and lock it behind you. Instead, like countless other homeowners around the country, you take precautions—triple-checking the stove to make sure it’s off, for instance, or asking the post office to suspend mail delivery. Once you’ve convinced yourself there’s nothing left to worry about back home, you can finally shift your focus to the holiday celebration or far-flung beach retreat you’ve been eagerly awaiting. There’s only one problem here: You don’t need to be told that your home faces an elevated risk level whenever you’re not there, but new data suggests that you may be ignoring one of the biggest dangers of all—leaks. A survey sponsored by Chubb finds that before leaving on vacation, nearly 80 percent of homeowners do nothing at all to protect against the damage that can be caused by a runaway leak. In fact, the Chubb survey shows that for the majority of homeowners, leaks barely even register as a concern. Only 19 percent view water damage as a top threat to homes left unattended by vacationing (or otherwise absent) owners. But industry statistics prove not only that the risk exists, but also that homeowners spend more than you might think to recover from leak-related incidents. 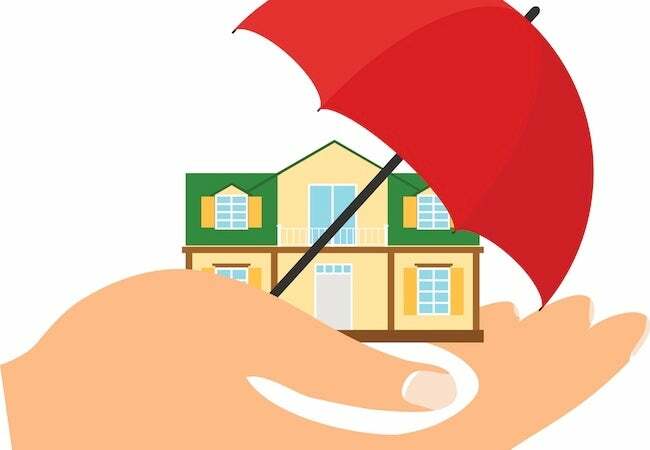 In its study of 2010-2014 trends, the Insurance Information Institute (III) concluded that homeowners submitted more claims for water and freeze damage than for almost anything else. Furthermore, water damage appears to be growing more common. In 2011, water damage accounted for only a quarter of property damage claims, whereas in 2015, it accounted for almost half. What’s more, the III calculated that the average claim amounted to almost $8,000—no small sum! How can H20 do so much harm? Well, you can’t fix a leak if you’re not at home to notice that there is one. It’s your absence that allows for even a minor leak to do major damage. Fran O’Brien, division president of Chubb North America Personal Risk Services, explains, “The time between when a leak occurs and when it is discovered is the single greatest factor in determining the amount of damage.” If you catch and correct the leak within 72 hours, it’s often possible to undo the effects without thorough restoration work. But after 72 hours, worse damage begins to set in, all while you may be none the wiser. The irony is that the average homeowner goes out of his or her way to defend against other home hazards. For instance, the Chubb survey indicates that 94 percent of homeowners have installed fire alarms and as many as 54 percent have installed security systems. The implication? “Homeowners address what are perceived to be the most common property risks,” O’Brien says. Yet somehow, despite evidence to the contrary—despite the fact that 45 percent of respondents have experienced water damage in the past two years, or know someone who has—most continue to discount the risk potential of leaks, and few proactively pursue water damage prevention. Prevention demands little of the homeowner. In fact, the simplest method of sidestepping the problem takes only a few seconds and costs nothing—shutting off the water main whenever you leave home for more than a night or two. 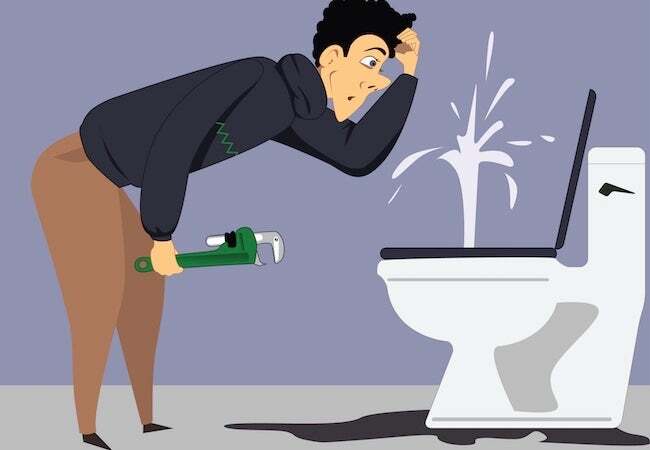 Only 22 percent of homeowners do this, but cutting off the home water supply provides the most effective and comprehensive solution, given that most leaks occur in the plumbing system itself. Another option: Place leak alarms in any areas where you’ve had leak problems in the past, or where you suspect there may be one in the future. Doing so doesn’t prevent leaks, but it helps prevent the worst water damage. • Hunt for any pre-existing leaks throughout the home, especially around windows and doors. • Check all appliance hoses and replace any that show signs of either age or wear and tear. • Add insulation to water pipes that travel through uninsulated space, for example, a crawl space. • Clear gutters and downspouts of leaves and debris to ensure proper storm water drainage. • Cover basement window wells in order to block drainage-inhibiting debris from accumulating. • Ask a friend or neighbor to inspect your home every other day for as long as you’re away. • Survey the roof for missing or damaged roof shingles, and if present, make or schedule repair. Think about it this way: Water courses through a network of pipes that spans the entire home in service of a diverse range of fixtures and appliances, everything from the toilet to the dishwasher; water literally surrounds us. But as much as we rely on it, and as much as we take it for granted, water never stops being a natural enemy of wood, drywall, and other key materials that make our homes healthy, safe, and aesthetically pleasing places to live. 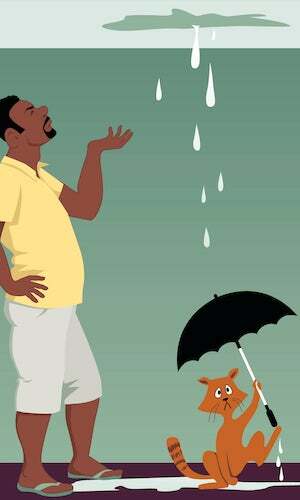 In this fragile situation, where we must closely coexist with water, leaks are more of an inevitability than a surprise. Act accordingly! This article has been brought to you by Chubb.